A bold and risky move has this little green tree frog is in a precarious position perched just behind the Least Bittern. In a flash the story ends - but does it end with the frog getting away or ending up as dinner? 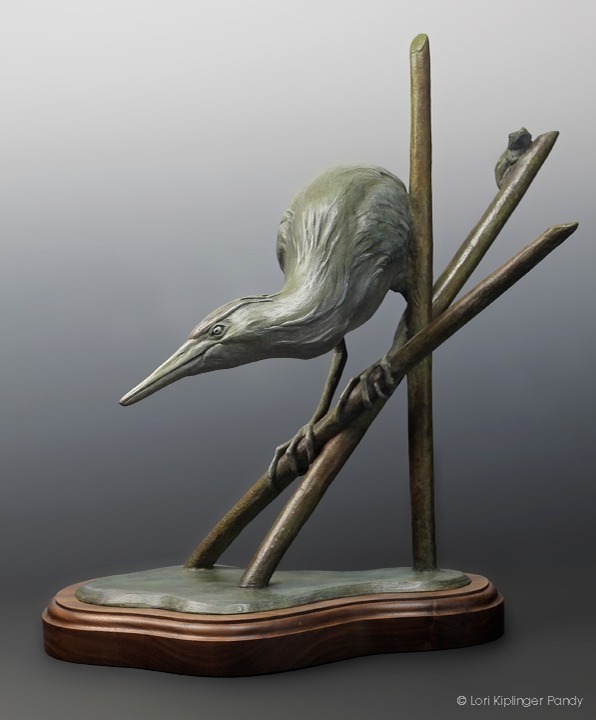 This sculpture is of a Least Bittern, smallest of the herons in the United States and a shore bird perched upon reeds. This is their common practice for feeding. 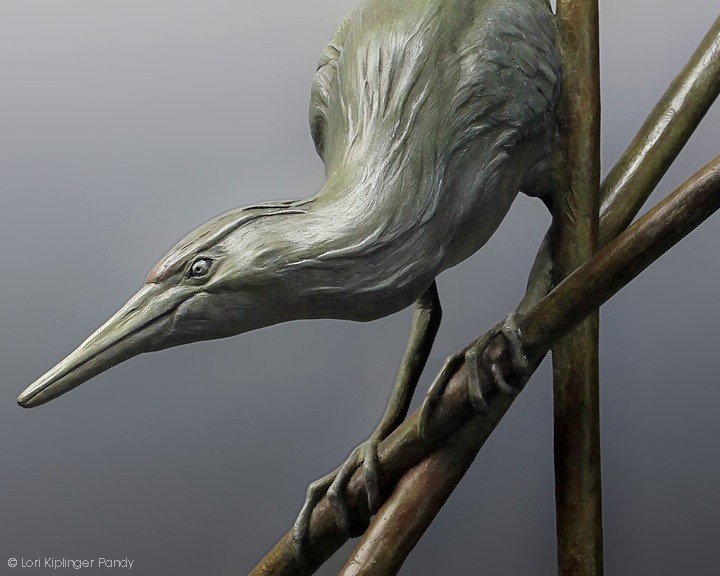 These little birds are slow-moving and rather than wading like larger herons they take advantage of their smaller size by hiding among the grasses and reeds and perching motionless to hunt with their spearlike bills. Its prey are small fish, insects, freshwater shrimp and frogs. 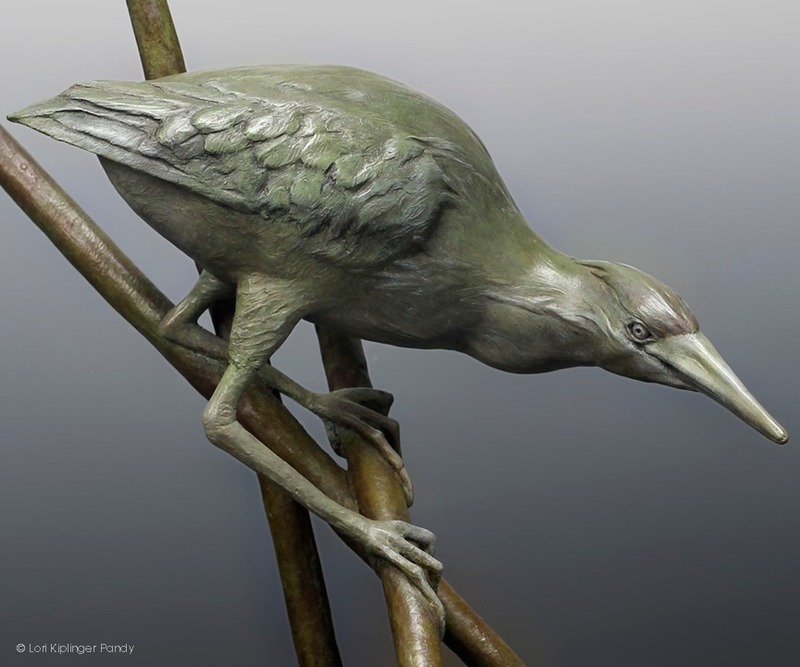 Sculptor Lori Kiplinger Pandy creates bronze sculptures of wildlife. 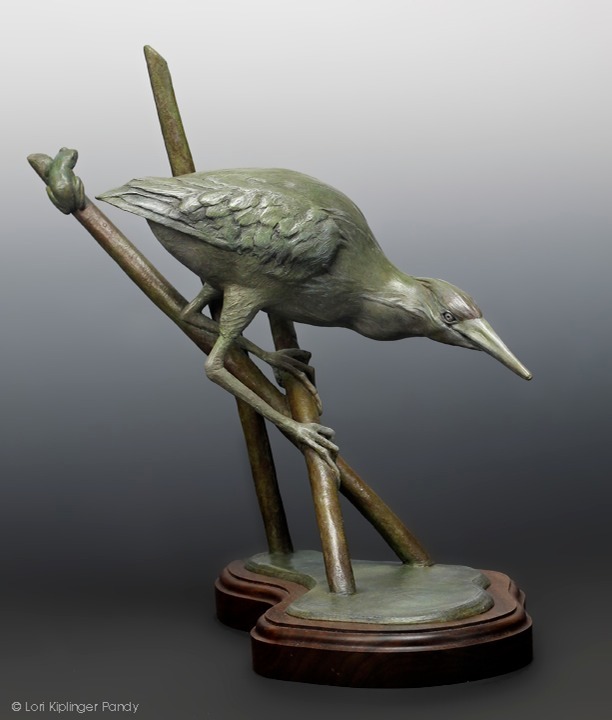 Her work is for sale in galleries, juried shows and for purchase through the artist.